Making the decision regarding where you want to host your site is almost as important as choosing which HTML editor you’re going to use to create your website. In fact, because there are so many different kinds of website hosting choices available today, it’s often overwhelming when it comes to choosing which one will best accommodate your needs. So what is web hosting and which host is the best? Consider the following types of web hosting options so you can make a well-informed decision about which one will work best for you. Some web hosting is actually free. Several free web hosting providers pay for the costs themselves through marketing and ads that are incorporated into different Web pages via pop-ups, scripts, and frames. Usually, however, most free web hosting is limited in some capacity compared to paid web hosting. For instance, there’s typically not as much bandwidth or space. Standard web hosting is the most popular kind of paid hosting. In general, you’re required to pay for a certain amount of space on a server and then provided with the specific software and high-speed servers along with other key amenities as well. The majority of standard hosting packages use what’s known as a shared system, whereby you’re given a certain amount of GBs (gigabytes) on a large 100GB web server. As a result, your files are safely stored and hosted on it along with 20 or so other websites. The OS (operating system) that your site is on can have an influence on what software it can potentially run. Therefore, it’s always a good idea to understand what operating system you’re on and to also know the difference between Linux and Windows hosting. If you anticipate that your website may get several page views, be sure there aren’t any surplus charges and/or limits to consider. Some web host providers will offer you a Web-oriented console while others will enable you to simply telnet into the main server. Although both work just fine either way, be sure your web host company provides it if you desire one specific style. Most paid web hosting providers offer some kind of software for you to use, such as Weblogs, PHP, and CGI. For the most part, standard hosting works fine for most personal websites as well as businesses that have their own domain name. Overall, paying for standard web hosting will give you an enhanced degree of security as well as ample features and amenities instead of using a free service. Simply put, unless you’re spending money on a ‘dedicated’ connection, or sometimes referred to as colocation, your site is likely stored on shared server. However, when it comes to hosting, the majority of companies consider ‘virtual’ and ‘shared’ hosting as a kind of dedicated web hosting whereby your website runs on a server machine along with just a few other sites. Dedicated hosting refers to the kind of hosting where you have your very own machine in order to use exclusively for your site. For most dedicated web hosting scenarios, the owner of the site will obtain root access to the provider’s server in order to both implement changes as well as manage the site itself, depending on the host. In other words, some hosts offer administrator access via their helpdesk staff. Overall, dedicated hosting is great for businesses that require more control or space concerning their site. If you’re the sole user of a machine, it’s easy to figure out what’s happening on it. On the other hand, standard hosting can potentially run the risk of getting other sites hacked since they provide full access to any other site on that particular server. Ecommerce website hosting can refer to any of the previously mentioned kinds of hosting, but with an added dimension, such as secure socket layer (SSL). If you intend to sell products on the Internet you’ll need a very safe and secure server in order to protect your client base. For an additional fee, several web hosting companies will authorize your site domains in order for you to use their SSL certificates. Frequently, ecommerce hosting involves shopping carts along with other helpful features relative to stores online. If you’re selling goods online, ecommerce hosting is a crucial aspect. Similar to using a dedicated server, colocation is a step up with regards to dedicated hosting since the server machine is exclusive to your sites, and only your sites. However, with a colocation, you actually own the hardware instead of the hosting provider. As such, you’re renting the facility’s physical space along with the high-speed online connection. 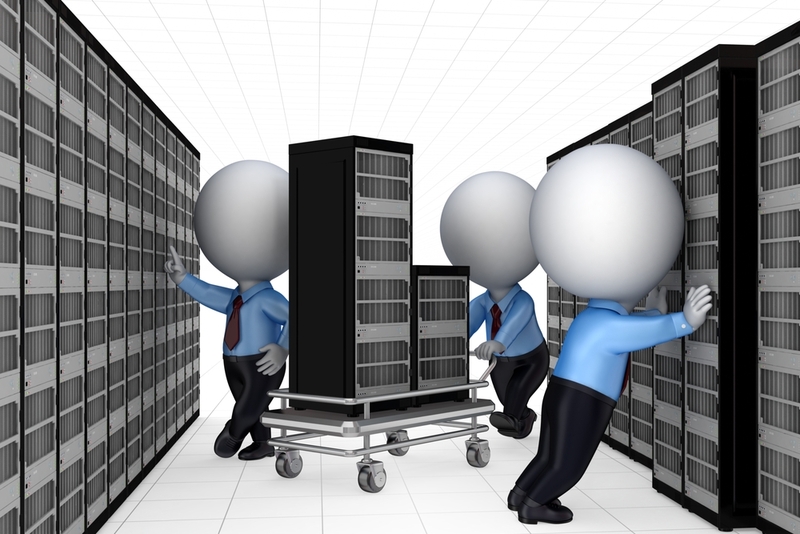 Basically, colocation is available in two ways – managed or unmanaged. You’ll pay for server space in addition to a team from the hosting provider to manage your server on your behalf, which is ideal for businesses that want the control aspect of colocation but don’t possess a standard IT department in order to manage the server itself. In the case of unmanaged colocation, you manage both the management and administration aspects of the server, including any software updates as well as the site and Web server itself. Colocation is ideal for businesses that want or need something a bit unusual concerning their online software configuration or want the added layer of security that complete control can offer. Several companies today offer blog hosting and Weblogs instead of a site in particular. Typically, these cost less than standard hosting. However, you’re limited to using a site that’s created with the provider’s own blog software. Some hosting providers offer storage space for files and images, but not actual websites. In other words, although these are ideal for storing files and images, you cannot actually put a site on them. Reseller hosting is great for companies that want to set up online hosting businesses of their very own. Ideal for companies with very popular websites, multiple servers are used to host the exact same content that are subsequently load-balanced in order to offer better access for visitors. Narrowing down your search to find a great hosting company doesn’t have to be difficult. You just have to find the best one that can meet your needs with regards to different areas in order to achieve desirable results. For the best web hosting reviews check out our full detailed list.